Within Magento CE you are able to display certain checkout functionality based on the location of the customer. For example, you’re might want to offer flat rate shipping only to customers in your country. To do this you just select the desired country from the Ship to Specific Countries for that particular shipping method. You can then test this by choosing to ship to another country and making sure that the flat rate shipping option is not available in the checkout. You are also able to do something similar with payment methods. I was recently testing that Paypal Pro was only available to customers within the EU. However, I found that Paypal was available to customers shipping anywhere in the world. The answer was actually pretty obvious really. Paypal looks not at the chosen shipping country but rather the customer’s residential country. I’d been testing using a UK customer and Paypal was available no matter what shipping country I selected in the checkout. Testing with a non-EU customer and I got the desired behaviour – Paypal was not available as a payment method, even if I was trying to ship to the UK. So, the Paypal Pro payment method at least tests on the customer’s country of origin rather than destination in determining whether the payment method should be available. 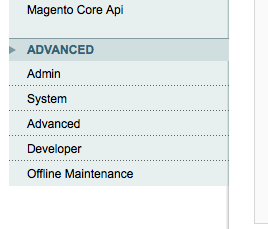 Today I came across a really annoying issue with respect to Magento’s search functionality. In essence, regardless of the term the user was entering, Magento returned the same 10 products, & occasionally a correct match! Looking in the search logs of a search extension I installed, I could see that loads of results were being returned but not being displayed in the actual front end results. Could it be a stale index, or a problem with the cache? Well, after countless command line reindexing, clearing the cache, checking the search settings in Config (Like & FullText), checking that products were visible, etc, I checked on the display values in the categories. There I discovered that the store’s root category’s “Is Anchor” was set to yes, and there were 14 products assigned to the root category. Amongst these 14 products were the usual suspects appearing in the rogue search results! In the spirit of trying anything, I set “Is Anchor” to No and removed the products. Bang – the search results started working as expected. I’m not sure why but by this time I was past caring tbh! However, it looks like these settings were restricting the products that could be displayed on the front end. Does anyone know the reason? I had this occur on another site I’m working on – empty search results. This time the culprit was that none of the products that had been imported via a third party system had been assigned to a website/store. Where the currency drop down is displayed is determined by your template. Only after these rates have been imported and saved will your customers be able to see the select currency control. So, if you’ve setup multi-currency within your shop but the currency drop down is not visible on the front end, first make sure that you have actually imported and saved your currency rates. This happened to me the other day. So, I checked that the country is question was one of those ‘allowed’ shipping countries, in both the default and store config. Still no joy. So, I then checked that this country was also enabled in the ‘Table Rates’ shipping method, & that this shipping method was enabled – all good but still no joy. It was then that I twigged that my ‘Table Rates’ csv file was empty! Only after I’d exported my Table Rates csv file did I realise that I had not set up any actual values for the ‘Table Rates’ – doh! Adding these values & then uploading the csv fixed the ‘issue’. You should also note that if you ship using “weight vs destination” & the weight of an order is lighter than your minimum shipping weight, then you’ll also get the same ‘error’ message. Recently I had an issue with Magento emails. While searching for a solution I came across loads of people wanting to know why new order confirmation emails were not being sent to customers or to the shop owner. Some of the confusion around this issue is a misunderstanding about the order workflow. From 1.4.0, Magento only sends an order email once payment has been received from the payment gateway such as Paypal. 1) Log into the Admin UI, and select Configuration/Advanced/System. 2) In this tab you’ll find ‘Mail Sending Settings’. Make sure that the ‘Disable Email Communications’ drop down is set to ‘No’. So, before you start to hack at core files to make new order confirmation emails work in Magento, make sure that you are aware of the order workflow & the need to enable emails within Magento. Leicester web design agency, Fresh Web Services are pleased to announce the launch of several websites in recent weeks. First, is the Magento powered Goldmark Books, selling the beautifully produced books published by the Uppingham art gallery and publisher. This is the first of a series of Magento powered ecommerce websites we will be rolling out for Goldmark Art Gallery. Our most recent project is a Properties Manager holiday cottage rentals software service, appropriately called LookB4UBook. Those searching for UK holiday cottages can view videos of the cottages and the surrounding area, as well as viewing pictures and reading descriptions, etc. Last, but not least, Northampton Probation Trust website is live. Powered by the award winning Joomla!™ content management system, we were responsible for the design, hosting, training and implementation of the northants web design project.